BANK executives are proving to be very expensive. That is, if their worth or value would be measured by the amounts that the Bank of Philippine Islands (BPI) paid its management team in 2013 and 2014. But here is what could be good news to the poorest of the poor among Catholics: The Catholic Church in the Philippines has so much to give if she would choose to sell her holdings in BPI. As of Friday, the value of the Church’s holdings in the bank came close to P32 billion, but it is not selling that. In 2013, BPI paid its executives P4.587 billion, which was roughly about 55.318 percent of the P8.292 billion in compensation and fringe benefits it paid them and the rest of its employees. The following year, the bank’s executive compensation increased to P5.151 billion, which represented 53.836 percent of P9.568 billion in compensation and fringe benefits paid for that year. These numbers tell the public that in the last two years, BPI, which is controlled by the Zobel family, paid its management team—from the chairman of the board down to the last executive—a total of P9.738 billion. As detailed in a compensation filing, BPI’s generosity to its top five executives totaled P193.962 million in 2013. The amount consisted of salaries, P101.089 million and bonuses, P92.873 million. This slightly increased to P195.732 million in 2004, which was divided into salaries, P131.618 million and bonuses, P64.114 million. For 2015, BPI estimates the five-man team’s pays and perks will be lower at P194.643 million, with salaries amounting to P126.682 million and bonuses P67.861 million. By the way, lest the public be misled into believing that BPI’s generosity begins at home, Jaime Augustus Zobel and his younger brother, Fernando Zobel, BPI chairman and vice chairman respectively, are not among the bank’s five highest paid executives. BPI’s compensation package reached the multi-billion peso level in the lower executive brackets. In 2013, BPI paid “all other unnamed officers” P4.393 billion in compensation, divided into salaries of P3.816 billion and bonuses of P577.104 million. The following year, it paid them close to P5 billion at P4.955 billion, of which salaries amounted to P4.319 billion and bonuses, P636.47 million. This year, it estimates the “unnamed” executives’ compensation at P4.909 billion, divided into salaries of P4.234 billion and bonuses of P674.961 million. As reported in a PSE posting, BPI (parent only) registered net profit of P14.468 billion in 2013, which fell 8.28 percent to P13.27 billion in 2014 despite interest income that climbed 15.569 percent in 2014 to P31.963 billion from P27.657 billion in 2013. In the same financial filing, BPI reported consolidated net profit of P16.502 billion in 2012; P18.994 billion in 2013; and P18.062 billion in 2014. At the same time, BPI also disclosed the dividends that it paid its stockholders, which have been reduced to P1.80 per share in each of the last two years—a big drop from P2.30 per share in 2012. The dividends in 2013 and 2014 were paid in two tranches of P0.90 per share. These reduced BPI’s surplus to P76.575 billion by Dec. 31, 2014. Incidentally, the 15 members of the BPI board received a total compensation of P35 million, or P2.33 million each and a bonus of P1.009 million each in 2013. In 2014, as a group, they received P39.2 million, or P2.613 million each; and a bonus of P1.549 million each. A deal involving total pays and perks of P3.712 million each is not bad for the bank’s six independent directors. As of March 6, BPI had 3.929 billion outstanding shares, of which the public owned 1.855 billion, or 47.213 percent. Based on these latest figures, its three principal stockholders hold a total of 2.038 billion shares, or 61.82 percent. These are Ayala Corp. (AC) with 858.599 million shares, or 21.83 percent; Ayala DBS Holdings Inc., 837.631 million shares, or 21.3 percent; and AC International Finance Limited, 341.845 million shares, or 8.69 percent. A PSE posting listed the Roman Catholic Archbishop of Manila as owner of 327.904 million BPI shares, or 8.339 percent. 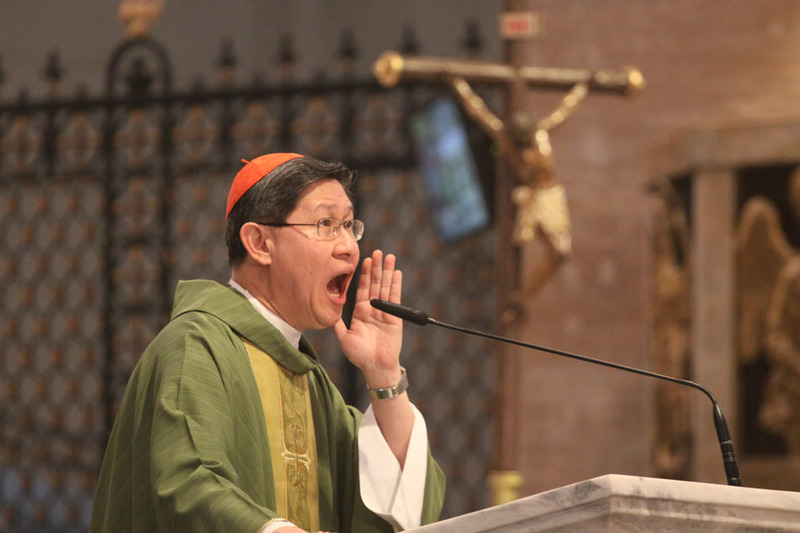 At P100 per share, that makes the Manila Archdiocese very rich with paper wealth of P32.79 billion. AC, in turn, is owned by the following stockholders: Mermac Inc., which is the unlisted holding company of the Zobels, with 49.0261 percent in common shares and 56.5343 percent voting shares, while Mitsubishi Corp. holds 10.183 percent in common shares and 11.681 percent in total voting shares.